Back in May, a few of our members made a trip to the San Juan River in New Mexico, considered one of the best trout waters in the country. For this month, Bill Morrison will lead a presentation featuring pictures from the trip. Other members of the trip will join Bill in discussing the river, flies, accomodations, and more. Expect some great stories - fish and otherwise! Also on the agenda: July events including Summer Club Workshop with Chris Morris, and the North Louisiana club Masters Series featuring George Daniel (we still have tickets - bring your money!). 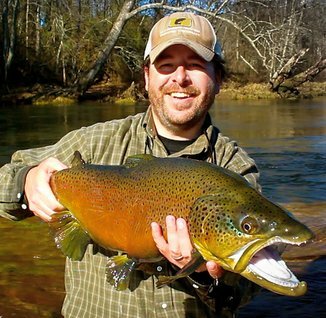 This summer, Kisatchie members have an opportunity to learn from not one - but two - of the top trout specialists in the country! On July 22nd, George Daniel of Pennsylvania will be special guest for the North Louisiana Fly Fishers 5th annual "Masters Series". The event will take place at the Red River National Wildlife Refuge in Bossier City. 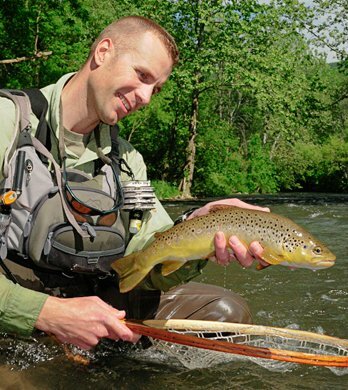 Daniel is an internationally-acclaimed trout guide, author and instructor. 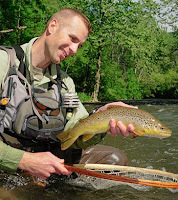 He was 7-time member of Fly Fishing Team USA competing in international tournaments and is currently a coach for the Youth USA Team. His presentations at the Atlanta Fly Fishing Show were SRO! Seats are limited! Fortunately because KFF is an event sponsor we have 10 tickets available to members. Make that 9. Make that 8. Yes, they're going that fast. Tickets are $35 and can be purchased at club meetings. The ticket includes admission, lunch and refreshments. A week later - on July 29th - the Kisatchie Fly Fishers will hold another of our popular Summer Workshops featuring Chris Morris. Chris is owner of Arkansas Drift Guide Service and an FFI Certified Casting Instructor. His specialty is big trout on the famed Little Red River, but he also does carp on the fly. He's been a popular speaker and featured tier at clubs, commercial shows, and FFF events across the country. Chris will be doing a casting clinic, a presentation or two, and some fly tying. We'll have refreshments and possibly lunch. There is no fee for this workshop, but seats are limited due to space. Club members get first shot; after June 15 we'll open it up to members of other clubs if space allows. Email Gene Taylor if you wish to attend. This month Gene Taylor will lead us in tying the Bass Bully. Created by warmwater expert, author and fly tier Terry Wilson, the Bass Bully is great for largemouth and smallmouth. Best colors are olive, rust, black and chartreuse. It can emulate a sculpin, madtom, or salamander. It works best by letting it sink, then retrieving with a strip-pause-strip.